These small fungi stood out from their surroundings making them an easy target for my camera. With their red flesh (easy to see how 'coccinea' forms part of their name) contrasting beautifully with the green moss it made for the perfect shot! 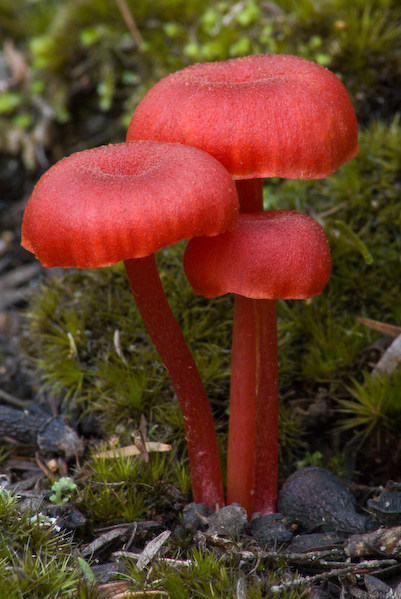 They like to grow in moist to swampy habitats.